Google showed off a pair of new Pixel phones, a tablet computer and a speaker with a screen in a deluge of new products aimed at competing with the latest gadgets from big technology rivals. The Pixel 3 and Pixel 3 XL phones offer significant upgrades to prior models by adding a nearly edge-to-edge screen on the larger model, more display area on both phones, faster processors and an improved camera. Google is banking on the latest versions, viewed as rivals to premium smartphones from Apple and Samsung Electronics, to generate meaningful sales — something that has eluded Google’s phones, despite positive user reviews. Google sold about four million phones in 2017, twice as many as a year earlier, according to research firm IDC. By comparison, Apple sold about 217 million iPhones last year. Alphabet doesn’t break out hardware sales numbers, but the revenue from the phones and products such as its Home smart speaker are tucked into the company’s other revenues segment, which includes cloud sales and content purchases. Alphabet generated US$4.4-billion in the second quarter from this category, up 37% from a year earlier. While the phones haven’t become mass-market hits, Google has seen more success with its home products. The company on Tuesday introduced the Google Home Hub, a smart speaker with a display. It’s essentially a speaker with a 7-inch tablet screen on the front that runs a variant of the Google Assistant Smart Display software launched earlier this year. Users will be able to ask the device to pull up and display videos, visual weather information and traffic data. The new speaker will compete with Amazon.com’s Echo Show, with one notable omission: a video camera. 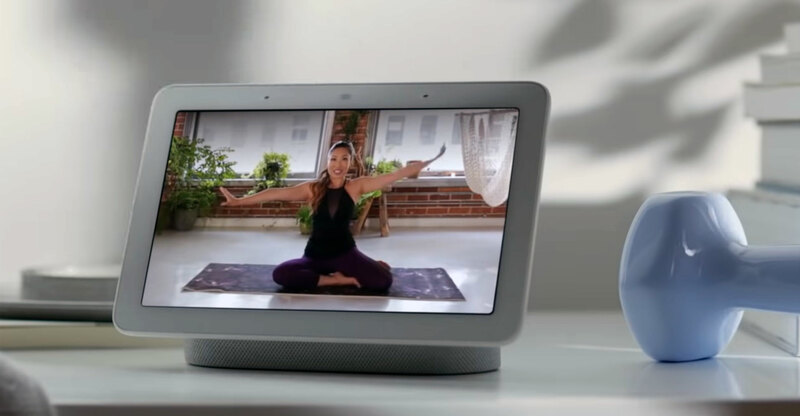 The device, priced at $149, won’t be a video-chatting hub like Amazon’s product and Facebook’s new Portal speaker, unveiled on Monday. Despite Amazon’s dominance in the category, analysts are bullish on Google’s long-term prospects for smart speakers. Loup Ventures estimates that while Amazon will have 52% of the market this year and Google will reach 28%, Google will surpass Amazon by 2021 with 48% versus 37%. The firm estimates that Google will grab half the market by 2025 with an overall installed base of 150 million units. Rick Osterloh, who runs Google’s hardware efforts and introduced the new smartphone models, is banking on the latest Pixels to make a dent in the market. The phones are launching in the weeks following the debuts of Samsung’s Galaxy Note9 and Apple’s iPhone Xs and Xs Max, and ahead of the iPhone Xr. Despite similar functionality, Google’s products are priced below the competition: the smaller model with a 5.5-inch screen starts at $799, while the larger model with a 6.3-inch screen is priced starting at $899. While Google’s phones have larger screens, they do look similar to their predecessors except for fully glass backs. They’ll come in three colours: black, white and pink. Google spent the bulk of the phone portion of the event talking about the devices’ new camera. Executives even lined up photos taken with Apple’s new iPhone Xs with ones shot on the Pixel 3 to bolster Google’s claims that it has the best phone camera on the market. The phone has a custom chip designed to make photos look better, Google said. The new phones’ camera can also be used to search for items online by simply taking a picture of them. Almost all the technical details of the phones had been leaked before the event, but Google did unveil some clever new software features. One of them transcribes voicemails in real time, so users can decide whether to pick up the call or keep ignoring it. The phones also offer wireless charging.